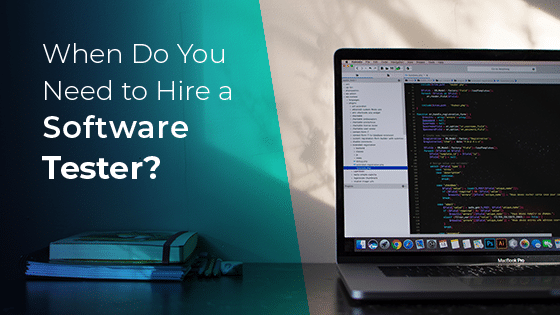 Blog > Software Testing > When Do You Need to Hire a Software Tester? You know it’s time to take action to improve your software quality… Is a software tester the right hire for you? There comes a point for any product or development team when it becomes painfully apparent that they need to have a well thought out software quality strategy in place… and, yesterday! Sadly, it occurs all too often only after customer support is flooded with tickets regarding bugs. Or, when developers grow increasingly nervous that maybe the new feature they are working around the clock to release has broken another functionality in the system that used to work just fine. So, do you hire a software tester? Here are some of the reasons why it might be the right time for you to bring one on. Disclaimer: At Abstracta, we prefer to use the term, quality engineering (QE) or just testing, instead of quality assurance (QA) for reasons we explain here. But for the purposes of this post, we’ll go with the more widely used term, QA. Where Does QA Fit in Software Development? First, let’s cover the purpose of software quality assurance. In general, it’s a very unique activity that touches almost every aspect of a business as it lies in the middle of the software development matrix, wherein its professionals interact with developers, designers, product managers, marketing, support, clients, and end users. Testing’s purpose is to provide information about the product quality and risks, in order to allow stakeholders to make informed decisions. By doing so, testing also helps to increase confidence in the software product—confidence that while using it, things won’t break, time out, or that bugs won’t prevent them from successfully executing an action. The value of a tester is in how he or she learns about the application’s behavior in a variety of settings to expose any possible problems and report them back to the team. It’s important to remember that there is no such thing as perfect software, but with an appropriate testing strategy, you can reach your desired threshold for quality without breaking your budget. How Do You Know You Need a Software Tester? 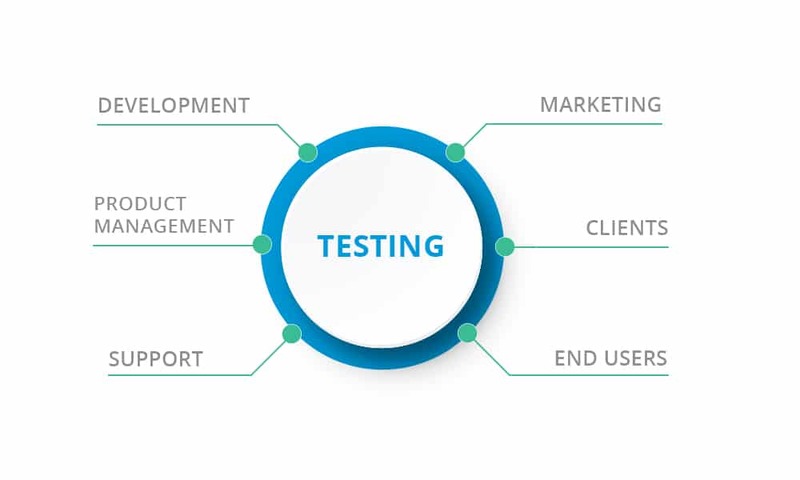 While there are many other possible scenarios that signal you need a tester, the biggest one is when the market demands that you release faster and your developers are finding a bottleneck in testing, while the error rate is beginning to hurt your client relationships. When the product’s quality is in doubt, both internally, and externally, it might not be too late to take action (although ideally, you should plan for quality ahead of time). It’s important to mitigate the effects of bad quality as there is nothing more harmful to a business than high user churn rates and poor reviews stemming from users’ experiences with an unreliable, buggy product. When you lose a user, it costs 7x more to acquire a new one than if you had retained them, according to Kissmetrics. A good tester will not only help to uncover issues but also find the root of the problem. A tester or test manager will even orchestrate the necessary cultural shifts that need to take place for quality to come first (e.g. shift-left testing, test-driven development, DevOps), affecting a positive change in the software development process. A tester can coach devs on how to implement agile testing techniques, collaboration, and communication. Why Not Leave Testing to Developers? Software developers and software testers have two very important, yet distinct roles that don’t always work well when conflated. Just like an author who writes a novel can indeed find some of the grammatical errors or typos they produce, it’s still essential to have a seasoned editor who has honed the art of editing to revise it and find the flaws that the writer would not have found on their own. Besides, the writer’s time and talents should be devoted to the writing of the novel. The same applies to the software developer and tester. In a recent survey conducted with over 100 software developers and testers, around 70 % of the developers could identify a tester that had turned out to be invaluable. And yes, we may be a bit biased here at Abstracta, a company purely devoted to software testing, but even developers and the software development industry at large can agree that once you have the developers you need on your team, it’s important to find the right tester with a high level of QA expertise to complement them. In an upcoming post, we will cover the qualities and characteristics to look for in a great software tester. If you are unsure as to how to proceed in your pursuit of enhancing your software quality, our consultants can help! At Abstracta, we can help identify key areas to get started in your software testing strategy from tools, processes, and people as well as provide a team with custom services that fit your needs. If you are interested in learning more, get in touch today!